A 26-year-old Filipina and her baby arrive in Australia for the first time. A mermaid (half woman, half octopus) washes up at Fremantle and opens up a fish and chip shop. Ocean temperatures are on the rise, causing squids to proliferate in numbers. Pauline Hanson’s scared of being swamped by Asians. The baby turns 11 and starts wishing her skin was white. The mermaid is making a killing selling her own tentacles. Pauline’s still out there, plotting. 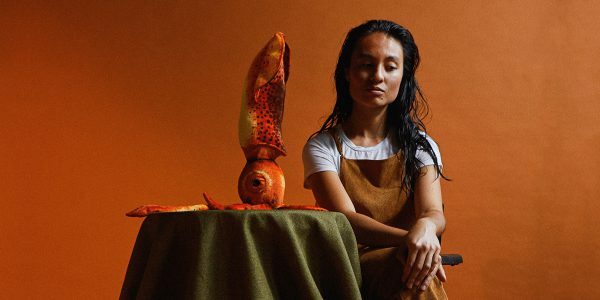 The ocean isn’t showing any signs of cooling down, the squids are taking over and the baby – now the same age as her mum when she arrived in Australia – makes a theatre show about identity politics. Cephalopod: A new inky offering from Perth performance fish-punks, Squid Vicious.